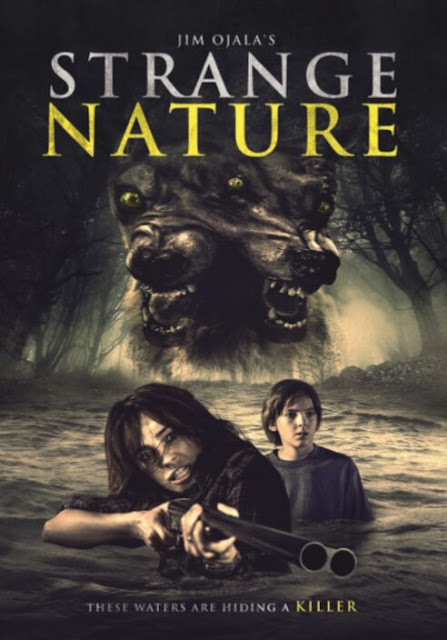 Ojala Productions and ITN distribution have announced a DVD/VOD release for new horror feature STRANGE NATURE. This October, it’s man versus nature when wrestling superstar John Hennigan and acclaimed actor Stephen Tobolowsky (‘’Silicon Valley’’, ‘’Deadwood’’) play ‘leapfrog’ with mutated amphibians in Ojala Productions’ highly-anticipated eco-thriller STRANGE NATURE. Based on true unsolved outbreaks of wildlife mutations, fall fright-fest STRANGE NATURE marks the directorial debut of fx maestro James Ojala (Hellboy II: The Golden Army, Thor, Tron: Legacy, Buffy the Vampire Slayer) and stars Lisa Sheridan (“Invasion”), Stephen Tobolowsky (Memento), John Hennigan (MINUTES TO MIDNIGHT), Tiffany Shepis (VICTOR CROWLEY), and Carlos Alazraqui (The Funhouse Massacre). STRANGE NATURE is now available on DVD and VOD.